Medicine Mans online dispensary is open for business! You may not have heard of him, but he has been a reputable medical marijuana seller for quite some time. For years, Medicine Man has been supplying medical cannabis to those who need it, and I am personally a ‘patient’ of his. 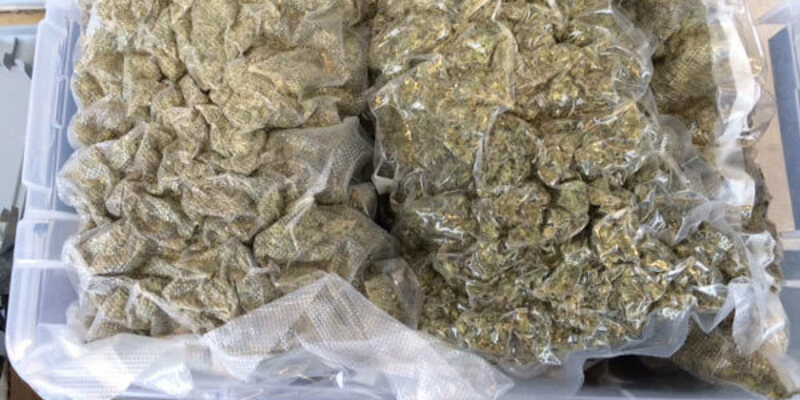 Paid for anonymously with the cryptocurrency bitcoin, always top quality strains shipped straight to your door. You may be wondering how it’s possible, and so have many others. The key to ordering marijuana online is to do everything safely and anonymously. If the proper security measures have been taken, you subject yourself to even less risk than buying marijuana in person. Depending on the physical transaction, you may or may not have to meet your dealer somewhere. Then you have to make an exchange of money for an illegal substance and proceed to drive home. There are so many instances and situations where you can get busted when making drug deals in person. However, when ordering cannabis online you can do it completely anonymously. There are two options when it comes to being anonymous on the internet. You can download, install, and browse the web using the Tor project web browser. If you plan on using the Tor browser, there is no need to get a VPN as the program hides your IP address automatically. The other option is to get what’s called a VPN or virtual private network. Every internet connection has an IP address. So let’s say you go home and connect to your home wifi, with a few clicks of your mouse you could easily find out what your IP address is. Said address is directly linked to your physical location and can be tracked by other people. Once you have a fully functioning VPN installed, your computer will communicate with the VPN server. This will mask your IP address completely, making it look to other sites like you are actually browsing the web from whatever location the server is set to. So if anyone was trying to track you, they will think you’re in California (example location) instead of your comfy cabin in Maine. There are many paid as well as free VPN’s available online which you can use depending on your needs. Most free VPN’s will serve the purpose of allowing you to anonymously browse the web. The second step towards safely buying marijuana online is ensuring that any personal information you give is completely encrypted. When submitting an order form on a site that sells marijuana, it is important to make sure to keep information like your name and address encrypted. This way only the sender and the receiver will be able to read the information sent. This will deny any possible information fishers access to it. So when sending sensitive information, either ensure whatever service you are using has automatic encryption. Or you can use your own personal PGP key. Once you have both a public and private PGP key, you then need the public PGP key of the person you are trying to send an encrypted message to. Visit this website, insert the person’s public key along with the message you wish to encrypt. Then send them the ‘encrypted message’ which should be a long string of letters and numbers. The receiver then visits this web page, inserts their private PGP key along with the encrypted message. Voila ! Sending and receiving your first completely encrypted message is that easy. The third step towards buying marijuana online is the currency which you use. The standard for most online drug transactions is bitcoin. If this is the first you are hearing about the subject, bitcoin is the world’s most popular and completely anonymous digital currency. I could make a bitcoin wallet, and have someone send me $1,000,000 in bitcoin completely anonymously. It would just be a string of numbers and letters that make up your wallet identifier, along with a password. No names attached whatsoever ! Almost everyone who is buying and selling illegal substances is doing it with the aid of bitcoin. If you are planning on purchasing marijuana online, acquiring some bitcoin is a must; you can’t simply give them your credit card info. But it is that easy to buy bitcoin itself, as many online bitcoin exchanges do accept credit cards. When you look at Medicine Mans accepted forms of payment, he does outline instructions on how to buy bitcoin with money orders/wire transfers/bank deposits/reloadit debit refill cards and things of that nature. Next in this increasingly long list of steps is plausible deniability ! This is what gives most people the confidence to actually buy marijuana online. Essentially in this situation what plausible deniability means, is the ability to deny the fact that you had any idea whatsoever what was in the package you are planning on receiving. The absolute worst case scenario when buying drugs online would be if law enforcement agents found out what was in your package and decided to do some sort of sting operation. But the beauty of plausible deniability is that at any time you can simply say you had no idea what the package contained. The number one rule here is NEVER sign for a package that contains an illegal substance. Once you sign for said package you legally acknowledge the fact that you were planning on receiving one, after all why would you sign for a package that you didn’t order? If you could go to jail for getting drugs in the mail, then people with vendettas could simply mail someone drugs and then drop the dime on them. And of course, last but not least you need a website or vendor to buy off of. There is a myriad of darknet/black markets on the tor project that you can find links to with a quick google. Although many black markets have gained reputations for periodically going down, or scamming their customer/client base. As most of the said black markets require you to make an account, and then move your bitcoin into a separate wallet hosted on the black markets site to make a purchase. There are a few different services which claim to sell marijuana on the normal web. I personally haven’t tested or tried any service besides https://medicineman.is/ so I can’t attest to any other sites reliability. But I can say that Medicine Man has provided me and my friends with quality marijuana for years. His order form is automatically encrypted, and I have always felt safe ordering from him. Packages get shipped multiple days a week without delay. If you’re looking for a solid hassle-free way to get some bud, give him a shot. And if you don’t trust his service, he offers a very cheap minimal risk one gram trial. Give it a shot!